The historic barumbara (dovecote) that residents say is Mġarr’s oldest structure. 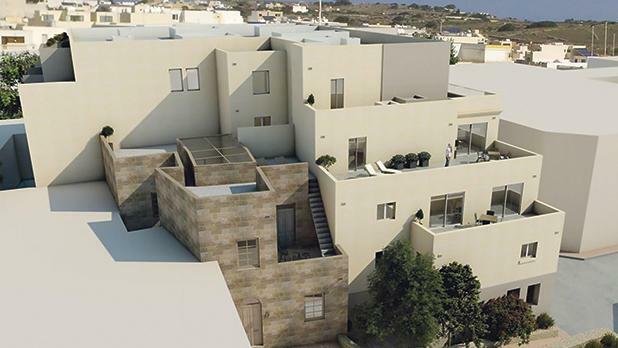 A site in Mġarr (Malta) featuring some of the oldest buildings in the village could be set for redevelopment into a four-storey apartment block. The site on Triq Sir Harry Luke includes a vernacular farmhouse dating back 400 or 500 years, as well as a historic barumbara (dovecote), which residents say is the oldest structure in Mġarr. An application being decided by the Planning Commission on Wednesday seeks to excavate the site and build a complex of maisonettes and apartments with underlying garages. The proposal will retain the historic building and integrate it into the new development, while part will be dismantled and reconstructed. The Superintendence for Cultural Heritage originally objected to the plans, noting that the site lay in close proximity to the Ta’ Haġrat Temples, a Unesco World Heritage Site and Grade 1 scheduled national monument, as well as a Grade 2 scheduled underground military war shelter. The SCH also noted that although the property was within the Mġarr development zone, it was close to the village core, church and main square. However, after discussion with the developer over the preservation of the historic farmhouse, and the submission of revised plans, the SCH dropped its objections, provided only that works were to be archaeologically monitored. An architectural rendering of the planned development. Although the application is still listed as being recommended for refusal, the earlier cultural heritage objections – which have now been addressed – appear to have been the only points of contention. The case officer noted that though the four-storey development appeared “protruding and bold” compared to the one- and two-storey structures in the nearby Urban Conservation Area, the streetscape already had contemporary developments. Heritage NGO Din L-Art Ħelwa, as well as some Mġarr residents, objected due to the impact on the historic buildings. The local council also raised concerns on the same issue, though it did not object to the development in principle. Residents rang alarm bells last year after parts of the barumbara stone fabric was allegedly removed over the course of several evenings by an unknown individual, this leading to the forced collapse of the back wall of the historic property. Flimkien Għal Ambjent Aħjar suggested the destruction of the building by stealth could be related to the then pending development application. 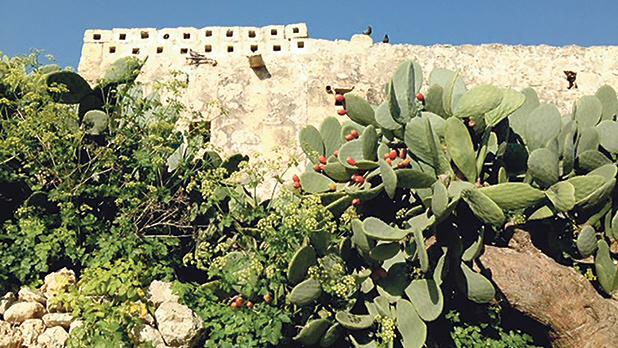 The group said the barumbara was a unique vernacular structure testifying to the historic rural development of Mġarr and called on the authorities to stop the “vandalism” and protect the structure.